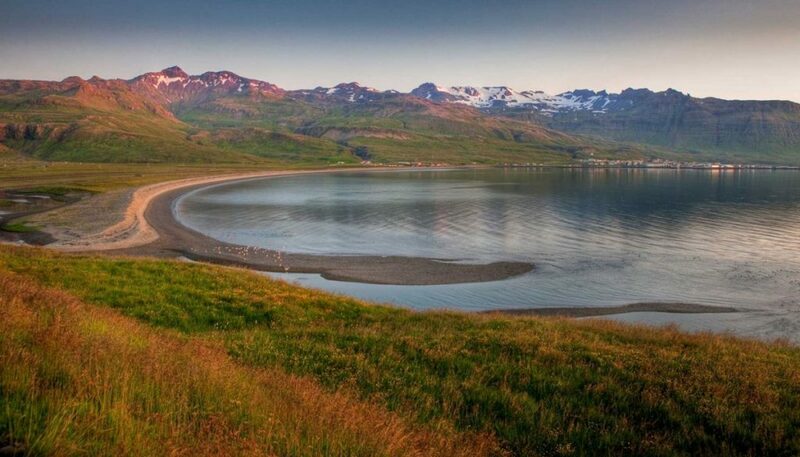 West Iceland is a world where culture, nature and history complement each other. This vast area consists of fjords, valleys, craters, glaciers and volcanoes. Great hikes are found around Akranes and Hvalfjörður fjord, with the mountain Akrafjall and the highest waterfall in Iceland Glymur less than an hour from Reykjavík. Visit the homestead of medieval writer Snorri Sturluson at Reykholt, and see the man-made geothermal bath in which he must have often allowed his mind to wander. In West Iceland, the history becomes vivid with every step, whether on account of the Sagas or just folklore, the scenes of these stories are everywhere. Most of the Icelandic Sagas were written in West Iceland, such as Egils Saga, Sturlunga, Laxdæla and Eyrbyggja, hence the name West Iceland – The Sagaland. The Settlement Center in Borgarnes focuses on Egill´s Saga, as well as the general settlement of Iceland.